While Kyoto’s temples are spiritual respites regardless of religion, they aren’t the only place to find inner peace in this popular Japanese city. Visit these halcyon sites to and transport yourself to simpler times with ancient architecture and bucolic landscapes. 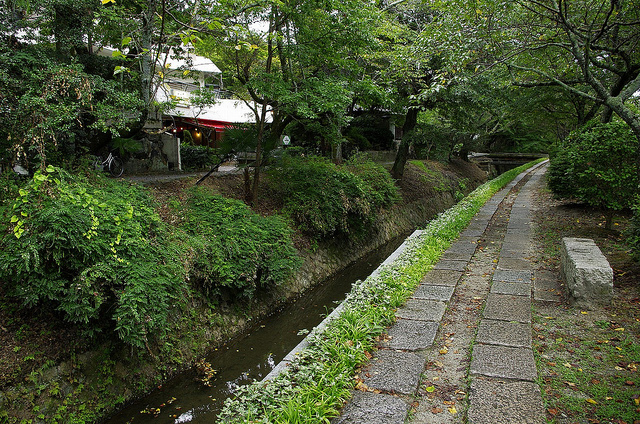 Though not a temple itself, the Philosopher’s Walk is a beautiful and peaceful walking path along a canal that passes by several temples. It is said to have been the daily meditative route of Nishida Kitaro, a famed 20th-century philosopher and Kyoto University professor. The path is especially pretty in the spring, as the canal is lined with cherry blossom trees. It takes only 30 minutes or so to complete the walk, although many walkers take their time visiting the temples along the way. Located on the far east side of Kyoto, this villa is one Japan’s most important cultural treasures. A visit to the villa requires an appointment, which means there are no crowds—which guarantees a more peaceful visit. Don’t be intimidated by the complicated public transit route, as a day spent here is well worth the effort. There are no large buildings here, and the tea houses are often visitors’ favorite part of the complex. 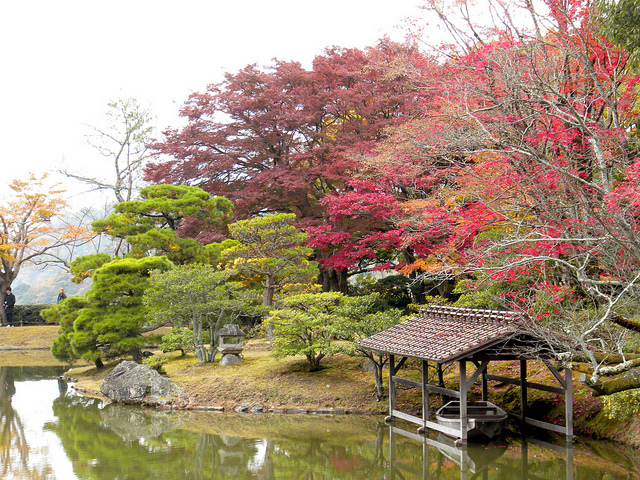 The three separate gardens cover 133 acres and are considered one of the greatest masterpieces of Japanese gardening. The villa is perched on a hillside, and the bucolic setting is perfect for a spiritual day of relaxation and reflection. The Zenriji temple itself is nothing special, but the surrounding forest is quite a sight in autumn. On autumn nights, more than 3,000 trees are lit up in a stunning display using nearly 600 light fixtures. This beautiful night-time display is a must-see if you visit Kyoto in autumn. If the temples of Kyoto are all starting to look the same to you, it’s time to visit the Fushimi Inari shrine. Built in 711 AD, this shrine is one of Kyoto’s oldest. It’s dedicated to Inari, the god of rice and (in more modern terms) success. The shrine itself isn’t particularly special, but the walk up to the temple is quite unusual. Bring comfortable shoes because it’s a two-hour easy hike up to the shrine—don’t worry if you’re not in great shape or you’re traveling with kids, as it’s more of an uphill walk than a proper hike. On the way up you’ll pass under more than 10,000 bright red torii, or shrine gates, and several bronze statues of foxes, which are said to be the Inari’s messengers. There are several small restaurants on the path serving kitsune udon, a noodle dish said to be the favorite of fixes. For the most peaceful visit, go later in the day toward dusk, when you’ll be more likely to wander alone through the torii.